311 is the City’s service that links residents to City Hall to report issues, beautify their community and to stay connected with local government. There are 14 different types of service requests which include illegal dumping, street repairs, pothole repairs, graffiti removal, tree trimming, street light repairs, street resurfacing, and sidewalk repairs. Other issues like auto body parking, auto repair on a property, abandoned buildings, yard sales, etc. please submit your request to the Department of Building & Safety. Other issues regarding speeding, pedestrian safety, broken traffic signals, new or broken street signs, etc., please submit your request to the Department of Transportation. 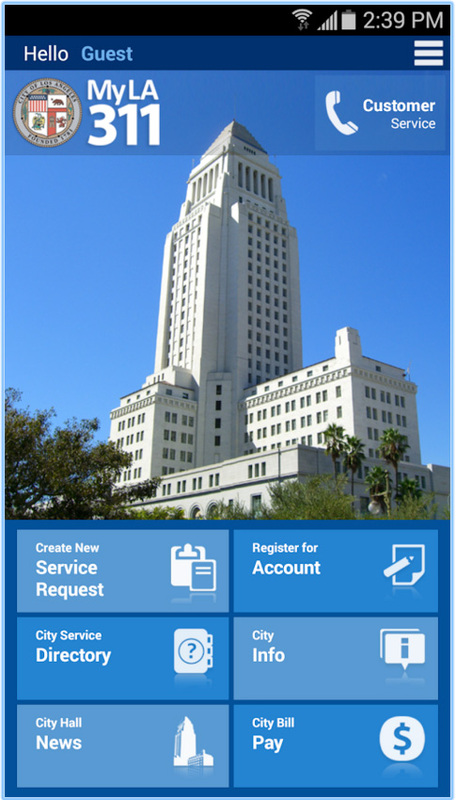 Submit photos directly through the MYLA311 app, which is free to download on Androids and iPhones. Dial 311 to submit your requests by phone. Email your request to 311@lacity.org. Visit the 311 website and submit your requests online. Second Step – Still No Help? Please use this form to connect with our constituent case managers. ¿Habla español? Llene este formulario.